It’s central to the mission of REALTORS®… making the right place real for Virginia’s military families and veteran heroes. 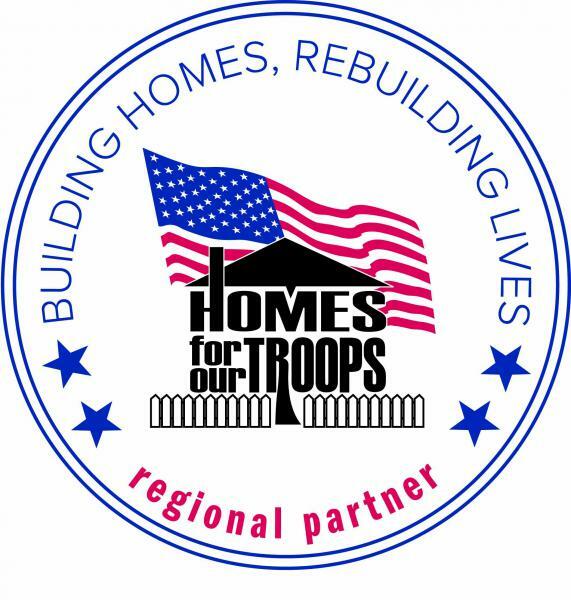 The Virginia REALTORS® is in its fifth year of sponsoring Homes For Our Troops. Our members have given over $115,000 since 2015. Every Virginia REALTOR® is invited to strengthen this legacy. Homes For Our Troops (HFOT) is a privately funded non-profit organization that operates nationally to build mortgage-free homes for severely injured post-9/11 Veterans, to enable them to rebuild their lives. REALTOR® members of the 2015 Virginia Leadership Academy (VLA) initiated a fundraising effort to launch the partnership with Homes For Our Troops, encouraging donations from hundreds of REALTORS®, friends, and industry peers. The Virginia REALTORS® Board of Directors approved a major contribution to Homes For Our Troops, emphasizing the role of REALTORS® in impacting the lives of their neighbors throughout the state. The sponsorship is part of our ongoing commitment to advocating for housing opportunity and community enhancement, and especially to ensuring that safe and secure homes are available to Virginia’s Veterans and active duty military. Nearly ten percent of Virginia’s eight million residents are Veterans or members of the Armed Services. Will you give at least ONE DOLLAR to build homes that rebuild lives? Click here to visit the fundraising site to learn more and contribute. For more information on helping Homes For Our Troops, please contact outreach@virginiarealtors.org.